If you or your spouse received in vitro fertilization treatments to help you become a parent for the first time, you might be able to claim a refundable tax credit using form TP-1029.8.66.2-V. You can claim the tax credit on a maximum amount of $20,000 for eligible expenses that you or your spouse paid. The tax credit amount will depend on your family situation and income for the year. If you’re 36 or younger, you can claim the cost of just one in vitro cycle; if you’re 37 years of age or older, you can claim no more than two in vitro cycles. Provided your treatments took place at a licensed clinic in Québec, you can also claim the expenses you paid for medical assessments as well as the cost of prescriptions related to your treatment that aren’t covered by your health insurance plan. You’ll only be able to claim the expenses mentioned above if they aren’t covered by your health insurance plan. Note: You can’t claim the tax credit on expenses that were reimbursed (or could be reimbursed) to you or your spouse, unless the reimbursement amount was included in your or your spouse’s income and it wasn’t deducted anywhere else on your return. Tax Tip: In addition to claiming the tax credit for the treatment of infertility, you can also claim your in vitro fertility treatments as a medical expense on your federal return (but not your Québec return). If your spouse or common-law partner is also claiming the tax credit for the treatment of infertility, you'll need to enter the amount he or she is claiming on their return on the TP-1029.8.66.2-V page of your return. This amount is shown on line 462 (point 11) of their 2017 Québec return. 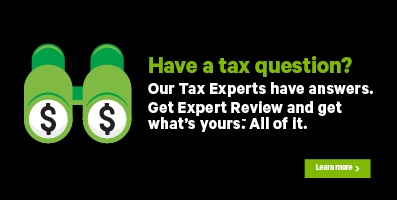 Note: You can find this amount in their PDF tax return on the Tax Summary page under the WRAP UP tab in H&R Block’s tax software. Before you begin, make sure you tell us you lived in Québec on December 31, 2017. Under the DISABILITY-RELATED CARE heading, select the checkbox labelled Tax credit for the treatment of infertility (TP-1029.8.66.2-V), then click Continue. When you arrive at the page for the Tax credit for the treatment of infertility, enter your information into the tax software.